With my goal of 20 breeding ewes I need to build our flock I need ewes with good conformation and strong constitutions.A high quality ram is the next step. Tomorrow I will be picking up my first flock sire; he is coming from a nearby farm with beautiful Katahdins. 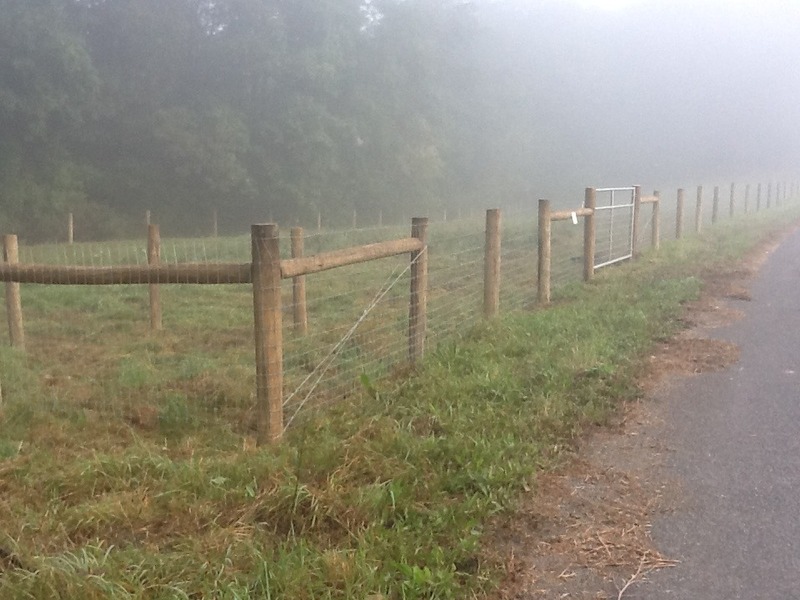 This fenced pasture is across the road from the farm proper where the boys will not have visual contact with the girls. I will bring the ram and his companion wether to the girls late this fall. The woven wire fence eliminates the need to electrify which would be difficult to manage, having to cross the road with an electric service or managing a battery energizer. I can run a hose in mild weather to the buckets and the hay can be carted over and through the 12'gate. To preserve the quality of the hay a portable feeder with a roof and 2 walls is planned. With the expenses of the fence and the breeding quality ram we have upped our committment to this farming endeavor. It is exciting and unnerving at the same time.